We already showed you how a true King does it in front of a crowd both ways. In comedy and as host of the ever so talked abut game show (It's Worth What) Cedric The Entertainer did his thing. (See A Refresher) Now it is time to show our men that we value them as King of our fantasy castle. In our home and everywhere else our desire for equality has not changed. We are all for equality between the sexes. Still, it's high time we took every opportunity to celebrate our bro-man. Some suggestions for you to get it done right will help to point you in the right direction. Here is what we propose! Let's skip the love notes, flowers, breakfast in bed, and that nighttime piece you wear just for him. Something truly unique is expressive and a constant reminder of his role and importance as your champion, and King in your family. Dying to know what product I have chosen? Well, the wait is over! 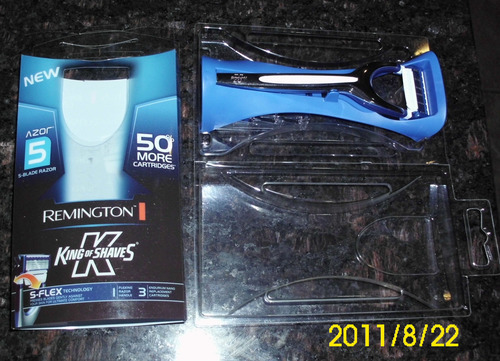 Remington's new King of ShaveS Razor System is the perfect product to use to honor the King of your home. 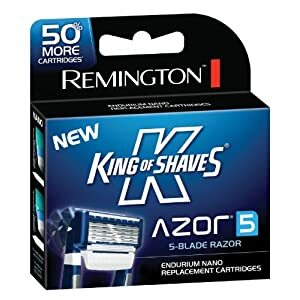 Take a look at the Remington King of Shave. It didn't take long for this razor to start flying off the shelves because customers seemed to realize that good products do not have to break the bank. Remington believes quality "shouldn't cost a arm and a leg". Make your partner remember and he will never forget that you honor him as King in your life. The Alpha Shave Gel is also available. Take a look! Here are the razor replacements so you'll know what to look for when it is time to re-up! The perfect gift this season; Remind your King and Champion that you remember him. Get it here or at your local drugstore.